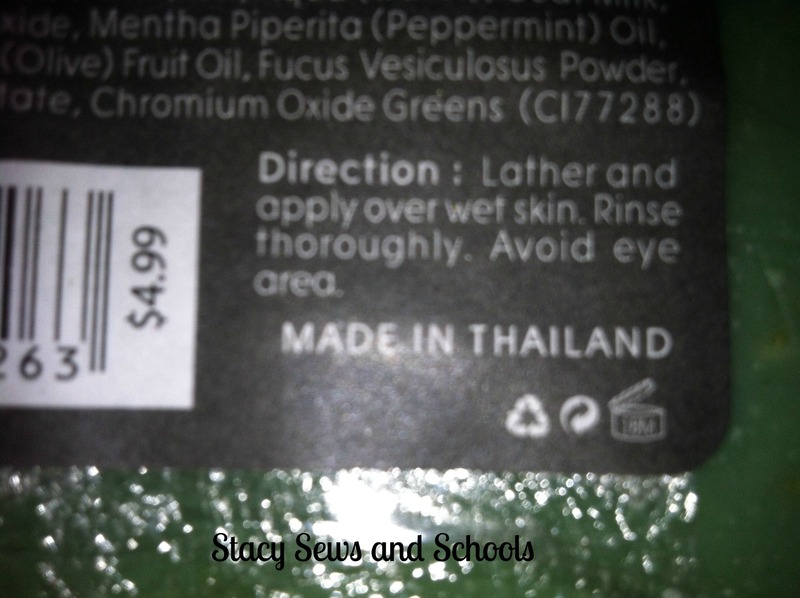 Lions, Thailand and Matter! Oh, My! LOL I love that title. 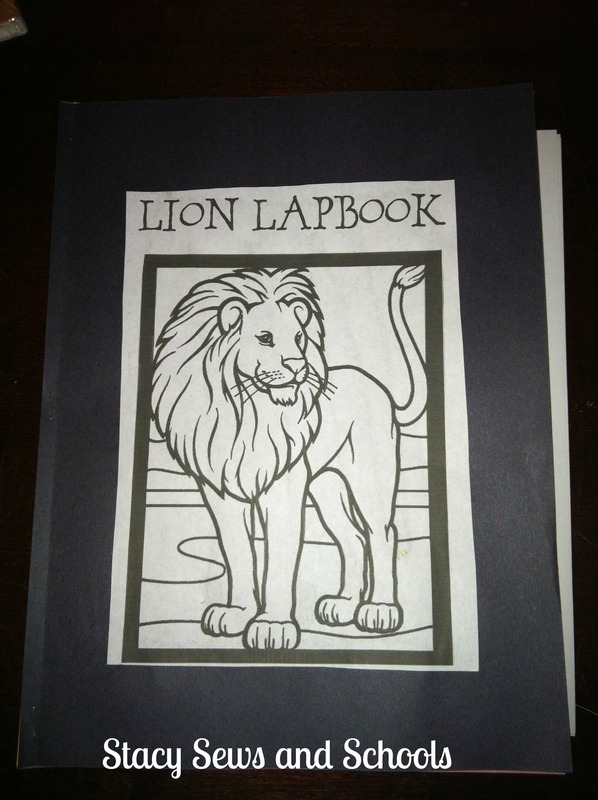 Here is some of how our lion lapbook looks like. 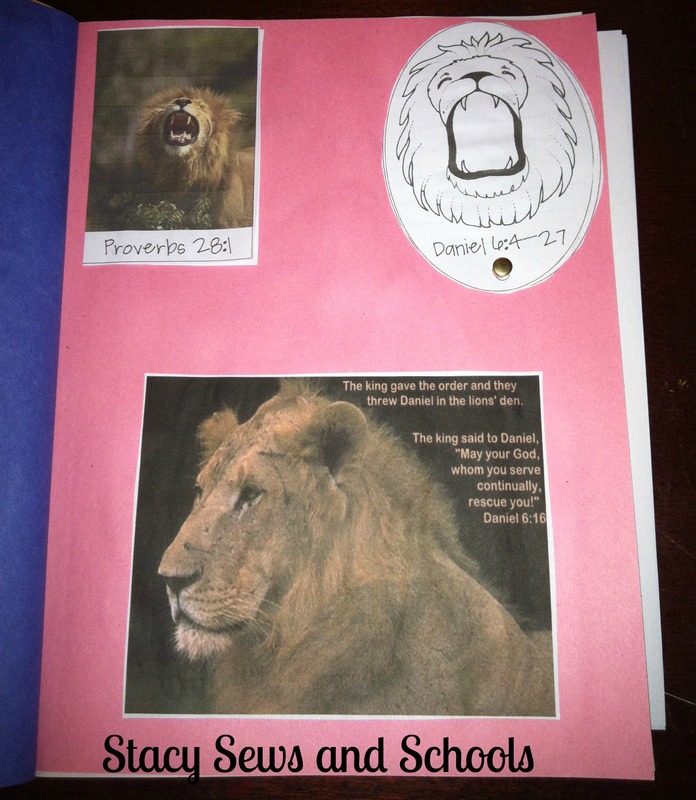 Some, but not all, of the lapbook components came from Homeschool Share, others came from DLTK Kids. 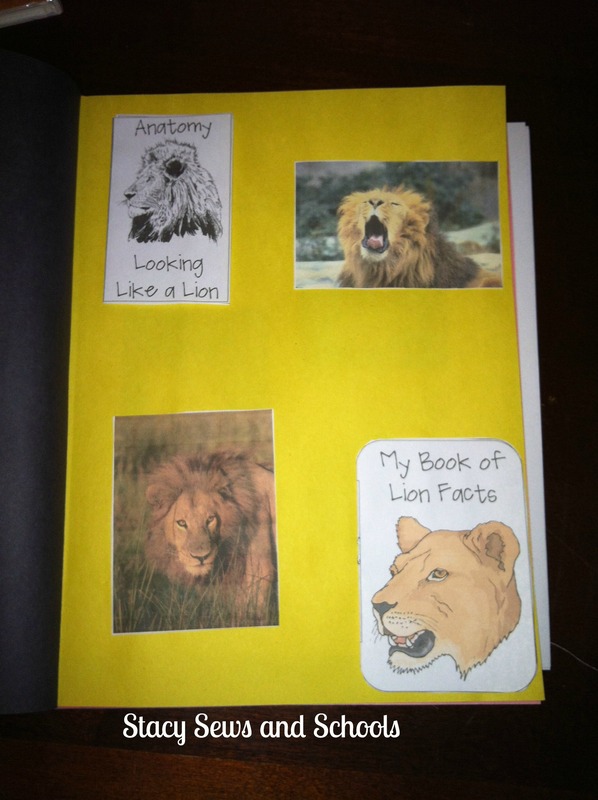 If you are familiar with lapbooks then you have noticed that we do them differently than most. 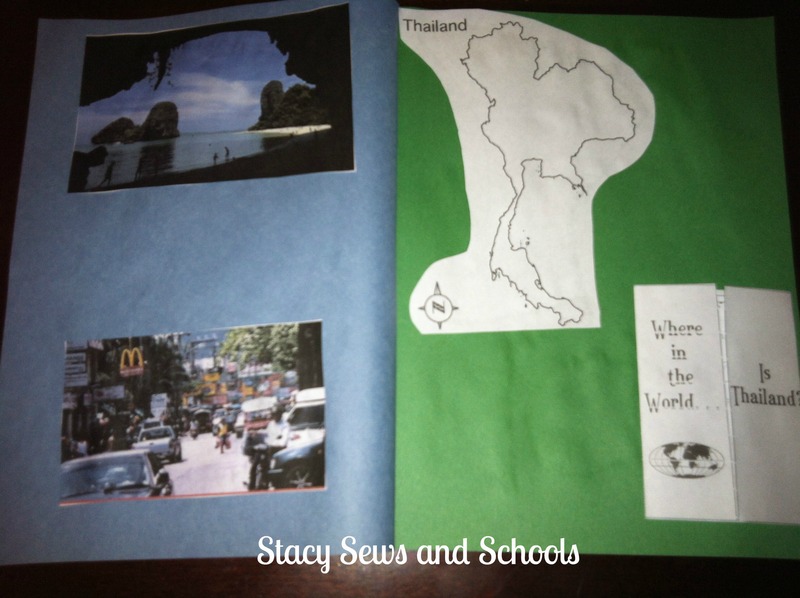 LOL We make a book from construction paper and staple it all together, making a book. If you are NOT familiar with them, here are a few pictures of how they are usually done. This picture is from Hands of a Child. 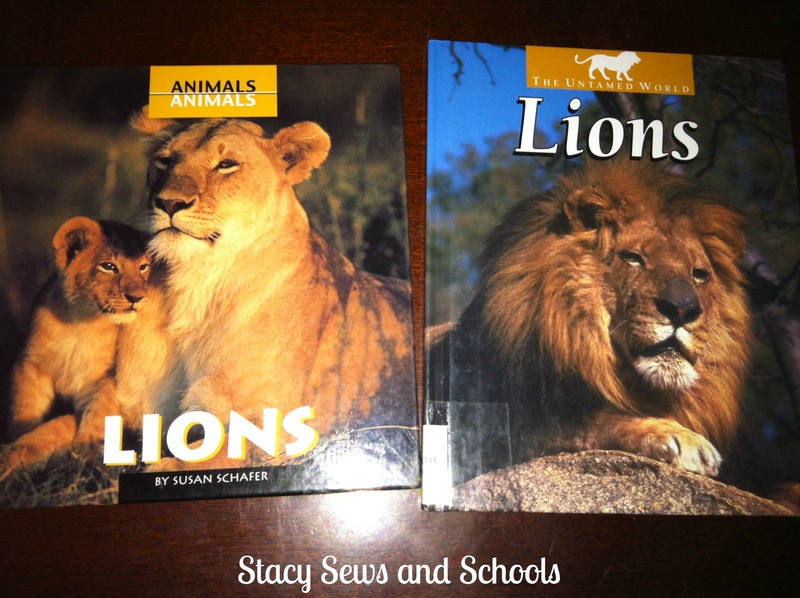 They have reallllly awesome lapbooks. 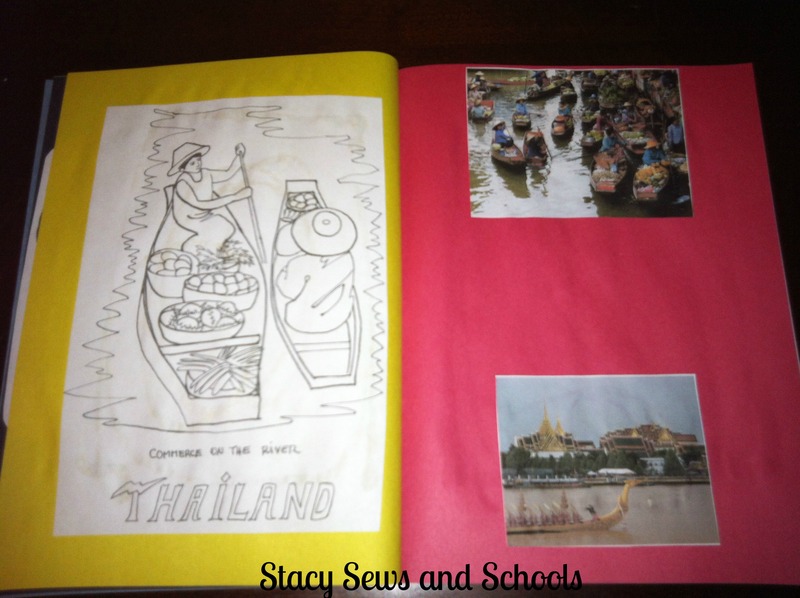 Most people use 2 or 3 folders and attach them to make a lapbook. 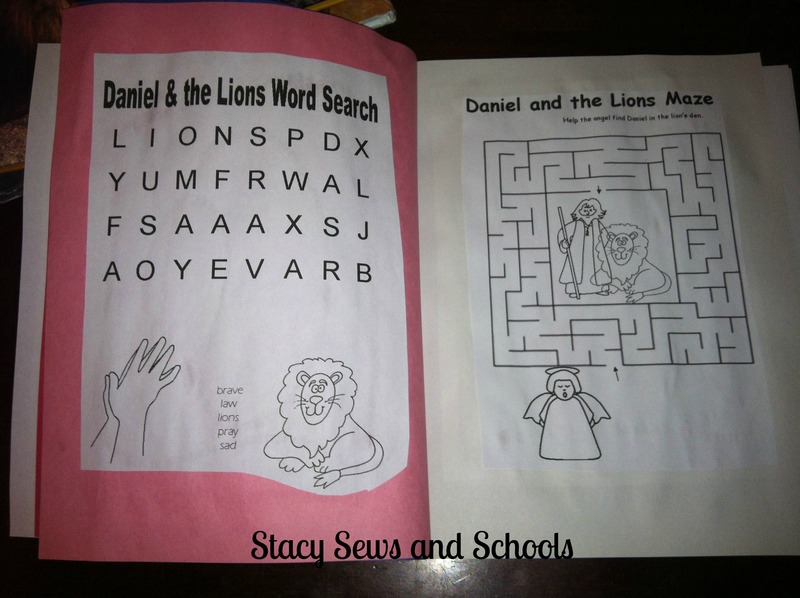 You can find more pictures here from Successful Homeschooling. 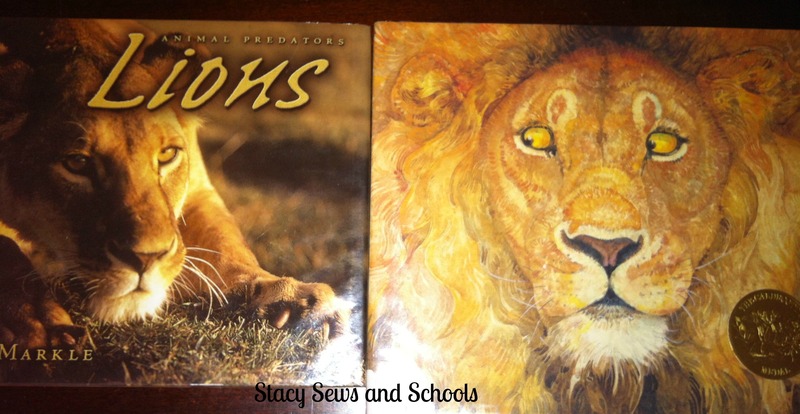 Here are the books we will be using for the lion lapbook. 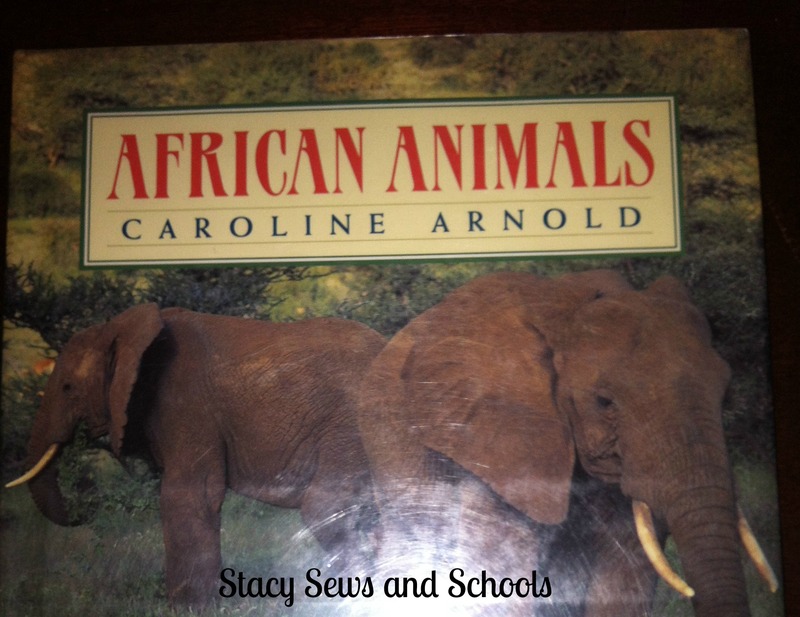 We will be doing 2 other lapbooks this week. One for Ancient Rome and one for Thailand. I have NOT put the Ancient Rome one together yet. The scissors make my hand hurt something terrible so I have to space them out and take my time. 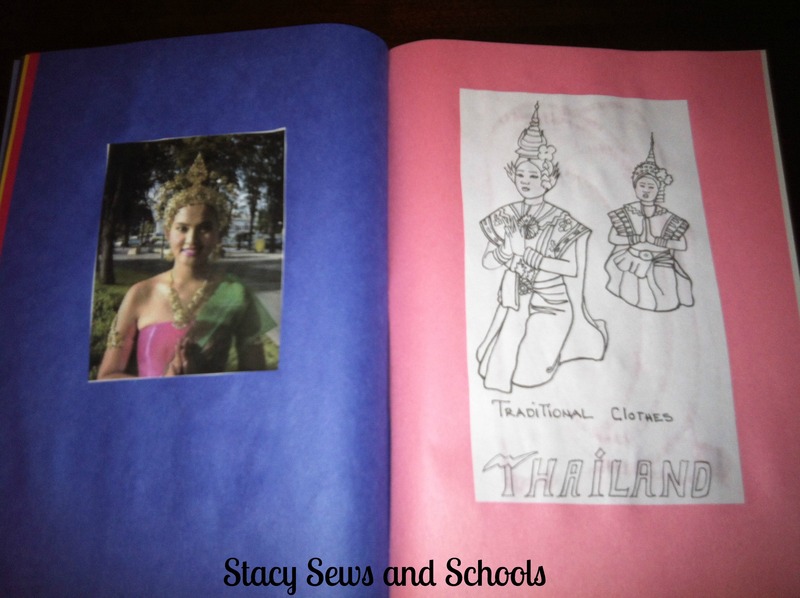 Here are some shots from our Thailand lapbook. 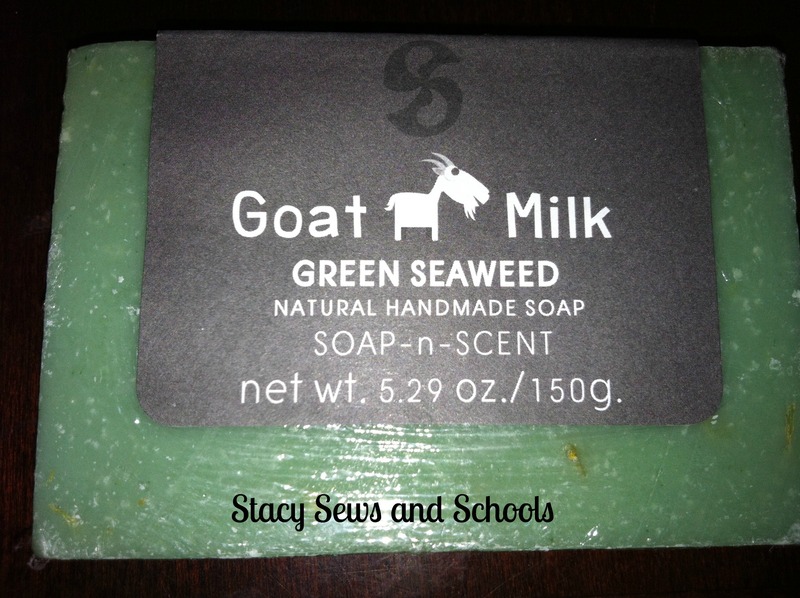 Once again, some of the components come from Homeschool Share and other come from all over! LOL Some are from Dover and Crayola. 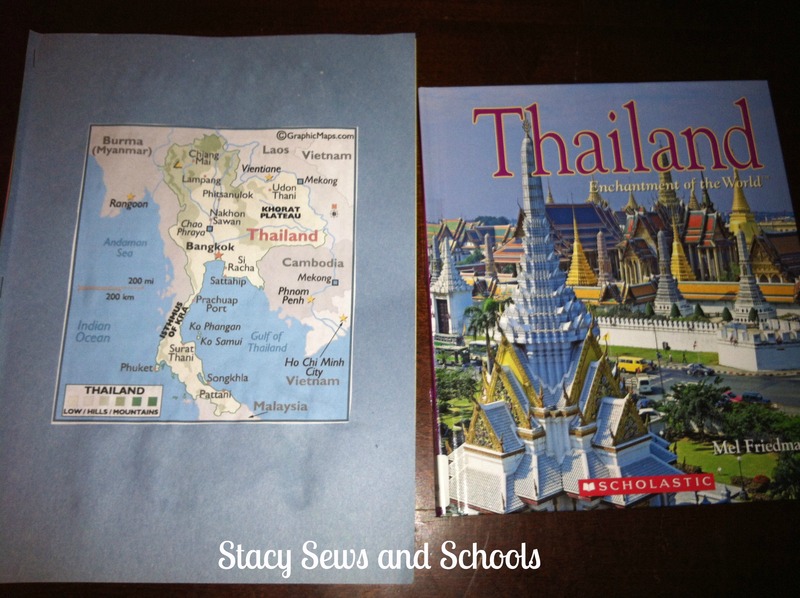 That is the only book our library had on Thailand. BUT Amazon had a great Kindle freebie a couple of days ago!!!! We will definitely be using that! 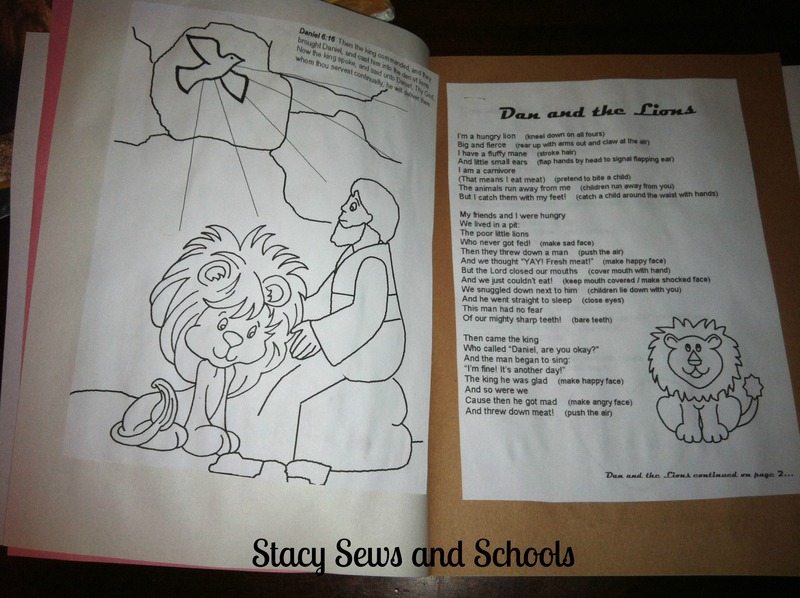 I love to add in real pictures along side the coloring paged and mini books whenever I can. 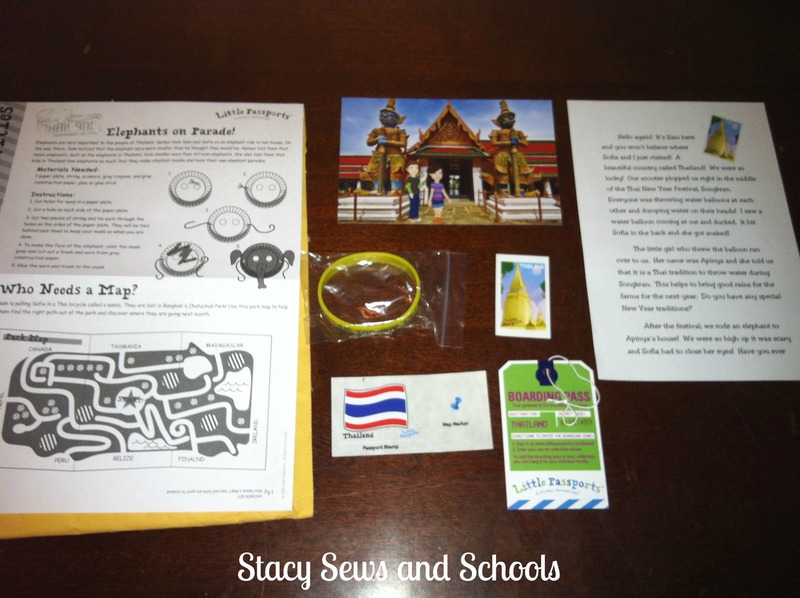 We also have the Thailand Little Passports that we will be using. 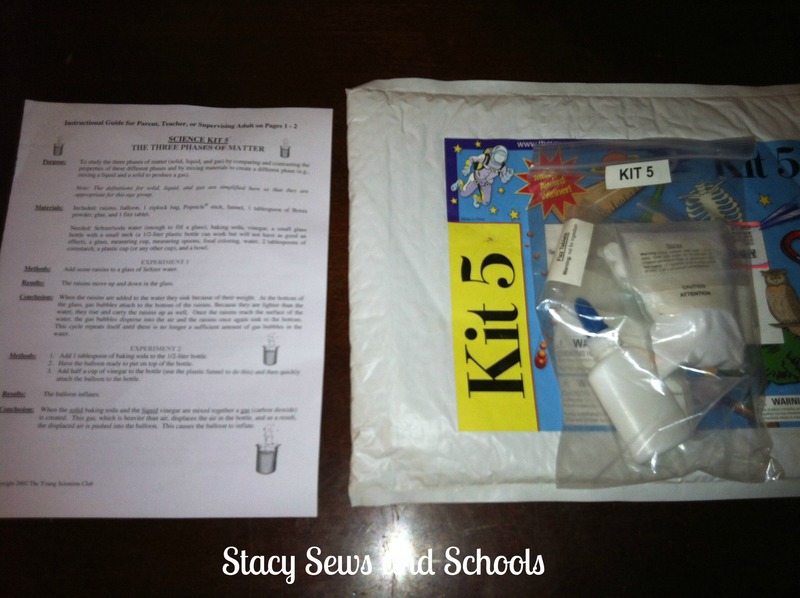 For science this week we will be using Young Scientist Club’s Kit 5, states of matter. We had signed up last year for the club and then realized that we could get them A LOT cheaper through Amazon. LOL There you get 3 kits in a set for about the same or a little more than one kit through the club. We paid $17/month for the subscription and got 1 kit per month. At Amazon right now set 2, which has three kits in it, is $17.81. Yeah, I think that is where we will be getting them….. LOL The great thing about these kits is that they come with everything you need. Well, except things like water! LOL The Magic School Bus science kits are great, too. I will have to dig up the pictures of the kits we did last year. The Cs LOOOOVED them!! I was greeted with more donations Sunday morning. God is really working here, y’all! It’s just so amazing! We will be able to reach so many children! I am so thrilled!!! 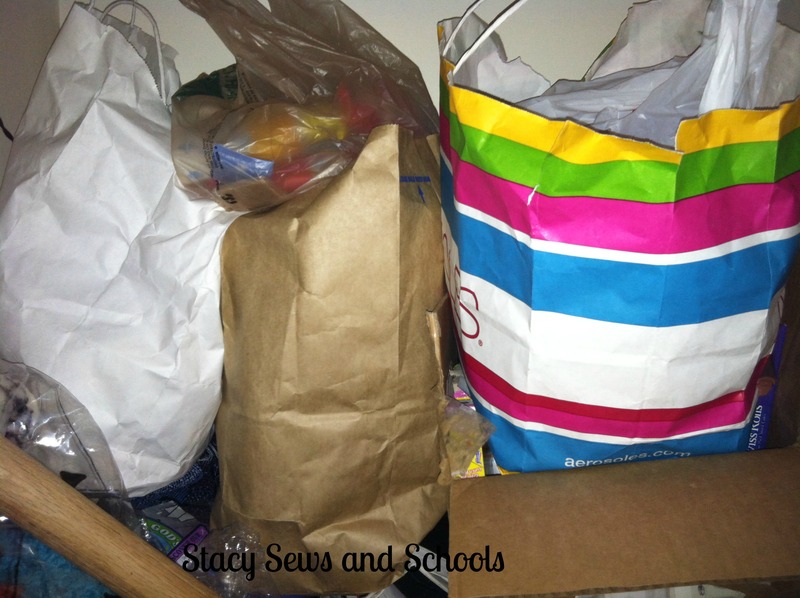 The bags and the box are filled with items that go in the bags. But don’t worry! If you want to donate we still need more items! We have Bibles covered. Our pastor ordered 50 New Testaments geared toward teens! They should arrive this week! That is SOOOOO exciting!!! 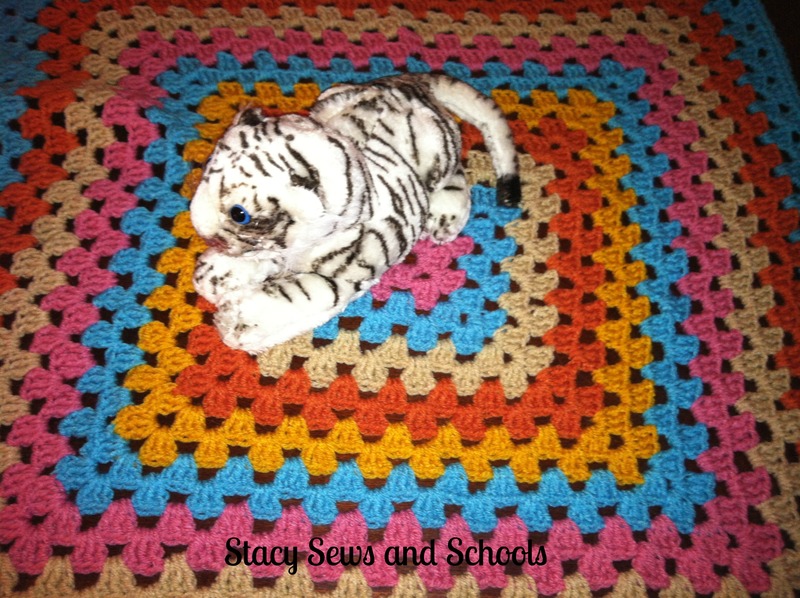 There is a lady in her 90s at church that has been crocheting mini blankets to go in the bags. She donated 5 Sunday! 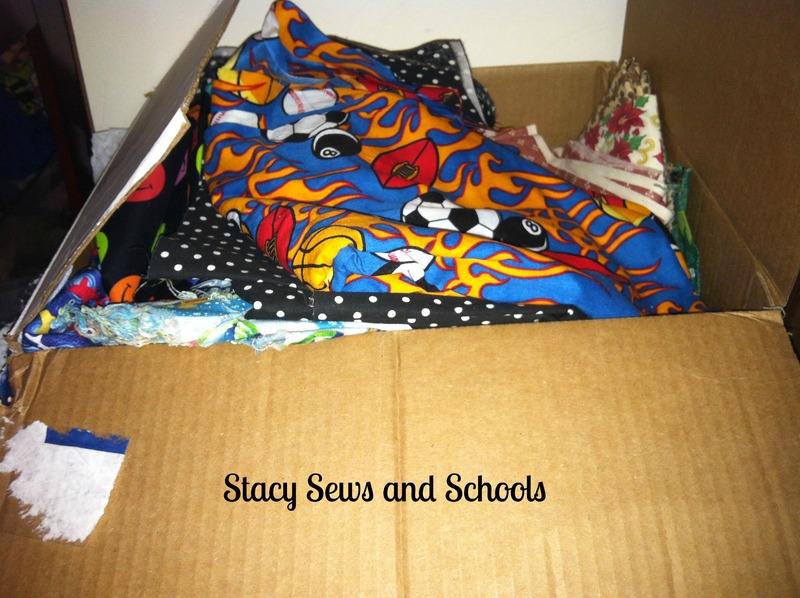 Look at all the fabric that has been donated to make the bags! As the pastor said last Sunday, give God what you have and see what HE can do with it. Jesus feed the multitudes with 5 loaves and 2 fish. What more could He do with what YOU have to give??? Let Him use you and find out!!! We all have SOMEthing we can give; time, talents, money, whatever…. God has given these things to you, now give them back to Him to use for His glory!! I started an online Bible study this morning through Good Morning Girls. I signed up with a group on Facebook that will be going through it together. Anyway, this was the first morning and I read something that really struck me. Let me see if I can find it so I can share it with you. God does not call us to sit around on our rumps. We are to get busy doing His work! Get out there and minister to the people. We are the light of the world. We are the salt of the earth. Spread the love! That is the true meaning of being a Christian. Spreading Christ’s love. 8 Love never fails. But where there are prophecies, they will cease; where there are tongues, they will be stilled; where there is knowledge, it will pass away. 9 For we know in part and we prophesy in part,10 but when completeness comes, what is in part disappears. 11 When I was a child, I talked like a child, I thought like a child, I reasoned like a child. When I became a man, I put the ways of childhood behind me. 12 For now we see only a reflection as in a mirror; then we shall see face to face. Now I know in part; then I shall know fully, even as I am fully known. Sorry I have been lax in posting the past couple of days. I have been dealing with major headaches. Hoping they are behind me now!! Just when I would think they were gone, back they would come again. SIGH…. Keep me in your prayers, please! !